Christmas came and went too soon—especially for the kids. 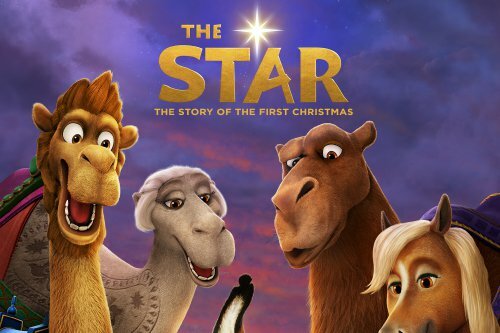 But here’s some good news: The Star, one of the finest and “funest” animated children’s Christmas movies to hit the cinemas last year, is now out in blu-ray and DVD. The Star recounts the Christmas story from a different viewpoint—that of a sweet little donkey who wants his hard and boring life to count for something big. The main character is Bo (voiced by Steven Yeun of The Walking Dead), a tiny donkey exploited by a mean master. Feeling sad and useless, Bo dreams of a better life, a life with purpose and meaning. But, chained and enslaved, he is not free. How can he ever think of following his dream? How can his insignificant, miserable existence make a difference in the world? Alone Bo can do nothing, But with a little help from his friends, his great adventure unfolds. And it leads him on a journey he never could have imagined. Thanks to a kind, worn-out old donkey, Bo finally escapes his cruel exploiter only to find that the world he lives in his filled with abusers. Thankfully, numerous animals step in to help Bo launch his quest for meaning, beginning with Bo’s best friend, Dave the dove (voiced by Keegan-Michael Key, Friends From College). This tender tale teaches children many valuable lessons about friendship, compassion, kindness, patience, sorrow and hope. This creative rendering of the first Christmas does not lack excitement. Rather, children are captivated as surprising twists of danger and unusual friendships pop up along the way. It is a story of redemption, of liberty, and of the miracle of the birth of Jesus. Whether animals or humans, good or bad, the adorable characters drive the fast-paced plot. Their voices include the talents of: Aidy Bryant, Tracy Morgan, Tyler Perry, Oprah Winfrey, Gina Rodriguez, Zachary Levi, Grammy® Award-Winner Kelly Clarkson, Anthony Anderson (“Black-ish”) as Zach the goat, Ving Rhames (Mission Impossible) as Thaddeus the dog, Gabriel Iglesias (Coco) as Rufus the dog, Patricia Heaton (“The Middle”) as Edith the cow, Emmy® Award-Winner Kristin Chenoweth as Abby the mouse, and Christopher Plummer (All the Money in the World) as King Herod. It may not be Christmastime, but it is always time to remember the birth of our Savior. And what better way to do this than to use a charming tale about an ordinary donkey who becomes an unexpected star in the greatest story ever told?